When you're browsing the internet, there are plenty of things you don't want to have happen. You probably don't want a sketchy website to identify and track you. And, you definitely don't want a webpage to use your computer's hardware and electricity to mine cryptocurrency that you don't get any cut of. Mozilla is tackling those issues with a new security tool in the Firefox browser. 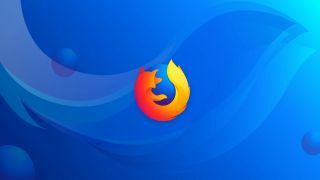 While the new security tools aren't here for the wide-release version of Firefox yet, they've both launched on Firefox Nightly 68 and Firefox Beta 67. They are not enabled by default, but Mozilla plans to eventually have them turned on automatically in all versions of Firefox. The new security tools aim to block scripts on websites that can identify your computers hardware or use that hardware to mine cryptocurrency. In the case of fingerprinting, scripts can identify the hardware in your computer and device configuration information to create an identifier for you that is independent of cookies. In other words, clearing the cookies from your browsers won't trick the sites, since they'd be able to check your computer's details again using the scripts and recognize it from the previous visit. Cryptojacking scripts, meanwhile, can be detrimental to your online experience, as they'll use your computer's processing power (and your battery or electricity), to mine cryptocurrency. This can be harmful to your computer while also slowing down performance of other tasks. Firefox's new security tool works by blocking these scripts. Mozilla has worked together with Disconnect to identify domains that serve these fingerprinting and cryoptojacking scripts. So, if they are detected, Firefox's Content Blocking protections will stop them from running. You can enable these security tools in Firefox Nightly 68 and Beta 67 by going to the Firefox main menu > Preferences > Privacy ad Security, selecting Custom under Content Blocking, and checking Cryptominers and Fingerprinters.